This DF-Bluetooth module offers an affordable way to let your microcontroller talk to your Bluetooth devices such as Bluetooth mobile phones, laptop, and Bluetooth adapter. The Bluetooth module provides TTL level UART interface which is supported by almost every microcontroller in the market. It is also designed to be compatible with most popular Arduino controller. Simply plug into Arduino IO Expansion Shield, a Bluetooth Arduino is ready to use. The DF-Bluetooth V3 module has two switches on the module. The NO.1 switch is used to set the LINK-LED on/off for power saving. So if you turn the NO.2 switch on, you can use the AT mode to set the Bluetooth module, e.g. name, baud rate, master/slave mode etc. Install the driver for the USB to Serial module if it can't be recognized. After connecting the module to computer, we can use CoolTerm software to talk with Bluetooth module. Click Connection --> Choose Options to set several parameters in CoolTerm. 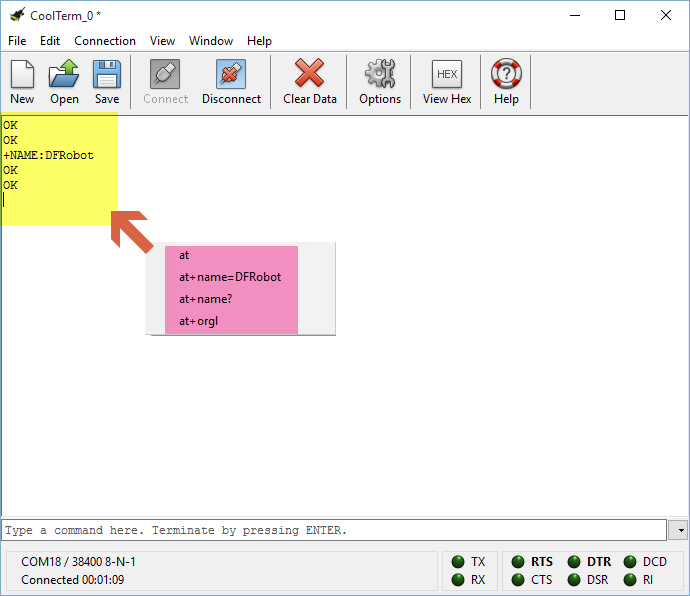 Now use the CoolTerm to send AT commands to the Bluetooth Module and see what information the Bluetooth will answer to the computer. More AT command can be obtained from the TEL0026_Datasheet. Please turn the AT mode switch off and then repower the Bluetooth module. The DF-Bluetooth module is based on the specification of Bluetooth V2.0, compatible with V1.1. 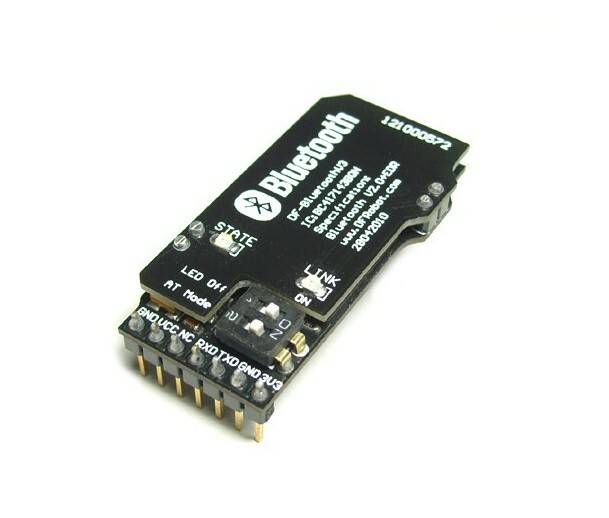 A Bluetooth adaptor is required to communicate with the DF-Bluetooth module. When it is paired with other Bluetooth devices, the DF-Bluetooth is always set to slave mode. The IVT BlueSoleil is recommended to manager all your Bluetooth devices. Step 1: Connect a Bluetooth adapter to the computer so that the computer can find the Bluetooth module. 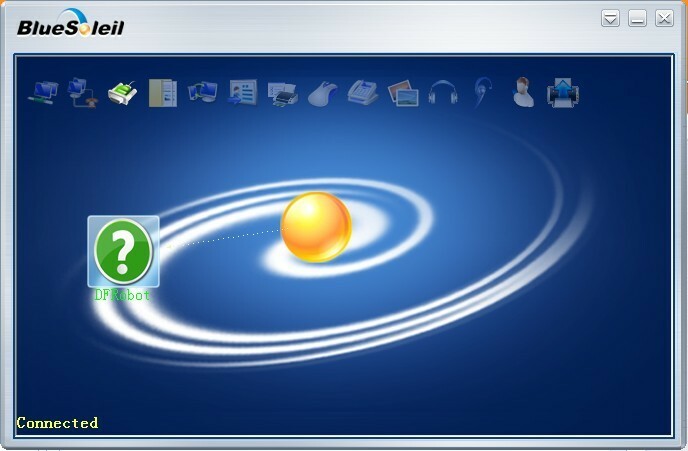 Step 3: Open BlueSoleil software (Figure 1) and right click the yellow ball in the centre screen, click “Search Devices” , an icon named EPBMX-COM will appear after few seconds. 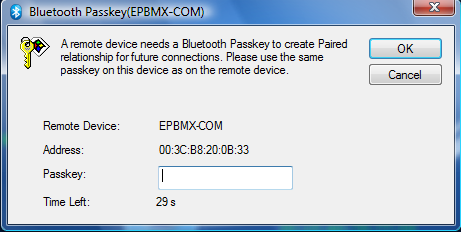 The EPBMX-COM is the DF-Bluetooth module. Step 4: Right click EPBMX-COM icon, click “Pair”. A window will popup ask for PassKey which is “1234” by default (Figure 2).LINK-LED on the Bluetooth will blink if the Pair is successful and the LED is on. 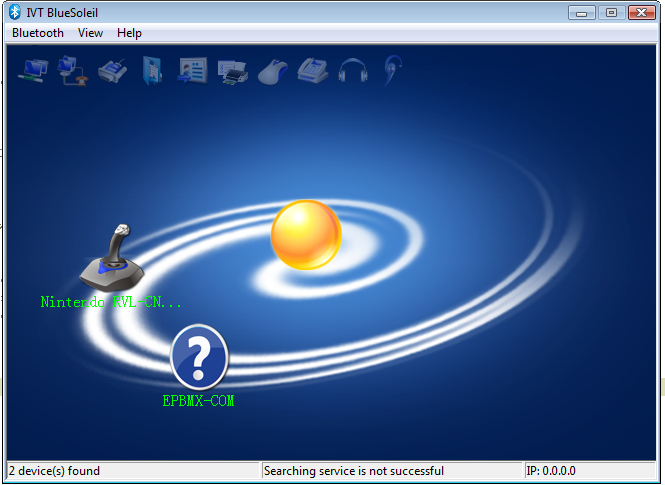 Step 5: Right click EPBMX-COM, click “Search Service”. Then a serial port will appear and right click EPBMX-COM again and choose the choice “Connect Bluetooth Serial Port (C0MXX)” and you can see the LINK-LED on the Bluetooth will be lit if the LED switch is on. 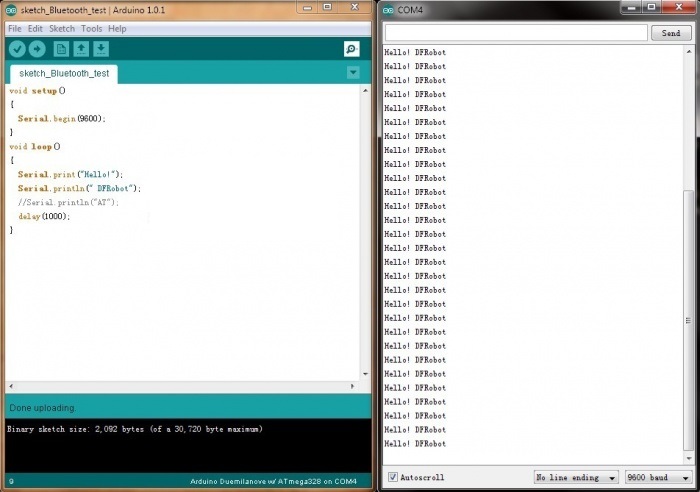 Step 6: Upload test code to Arduino. Please unplug the Bluetooth module from the Arduino board while uploading test code. Plug the Bluetooth module on the Arduino board again after finishing uploading the codes. Then open the serial monitor to see what Arduino is sending to Bluetooth module. You can also use CoolTerm to check the communication. Check the serial setting! Make sure the baud rate is set to 9600 on both master and slave. 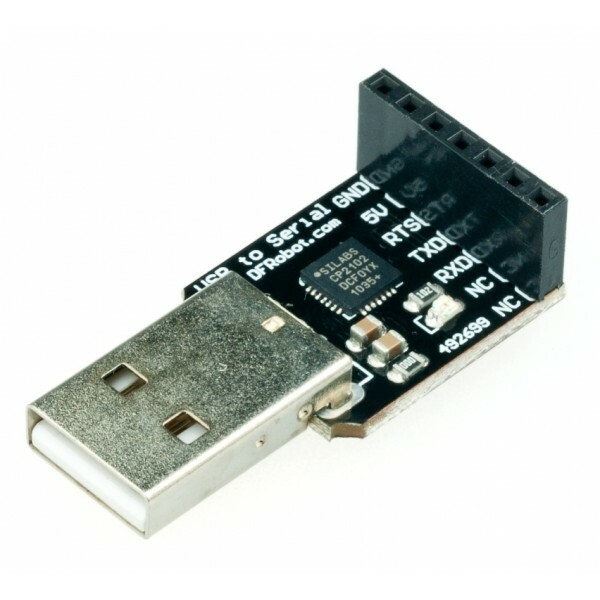 When the DF-Bluetooth is used on Arduino, please make sure you disconnect the DF-Bluetooth module before uploading any code to your Arduino. Or it will fail to upload any sketch as the DF-Bluetooth module occupying the TX/RX pins. A1. Welcome! For sure it is possible, and there is an article about how, How to control Arduino wirelessl/ bluetooth by phone? A2. Please check the Appendix 1: AT command error in that manual, 16 means "SPP is not initialized", so please send "AT+INIT" to initialize the SPP before sending other AT commands like you mentioned. A3. Please enter AT mode, send "AT+INIT" first, after a while, send "AT+DISC", wait a second, you could find the BT module in your PC/ phone Bluetooth panel. Default pairing code is: "1234". Read this post for more. Get it from Bluetooth 2.0 Module V3 For Arduino or DFRobot Distributor.